Quckspin is yet another high-end slots maker with roots in Sweden. The company was founded by a group of professionals who came from other gaming and tech companies with the idea of creating a slots developer with an eye on the future. The gamble paid off and Quickspin is now one of the elite designers of modern video slots despite being significantly smaller than some competitors. 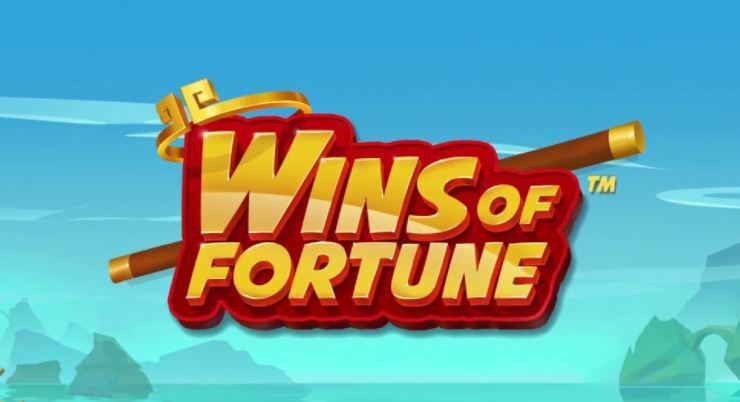 Quickspin has a relatively small portfolio of games but has managed to produce some of the most memorable slots in recent memory thanks in part to HTML5 technology. The graphics on Quickspin are much more reminiscent of modern-day video games and some of the jackpot spins produce incredibly animated cut scenes. Quickspin only entered the online gaming industry in 2012 but that helped the company avoid some of the baggage that came with clunky old slots that were based around traditional physical slots machines. Instead of being weighed down by 50+ years of traditional casino equipment, Quickspin was able to focus entirely on online and produce an insanely high quality product. Quickspin (and a few other sites) are consistently pushing the envelope for what’s possible in the online gaming world. Thanks to its relatively late entry in the online gaming world, Quickspin was able to avoid the awkward period of transition from bloated download-only software to instant-access browser-only software. Quickspin slots have always been available on browser and the company was also able to convert the majority of its games to the superior HTML5 framework in a limited amount of time. These days, Quickspin has been really ramping up its production of slots with a new one dropping nearly every month. Every new slot that Quickspin produces is built on HTML5 so that users can seamlessly play across multiple devices including Windows-based PCs, Apple computers running iOS, Android devices and iOS devices including iPhone and iPad. For anyone who’s been out of the casino game for awhile, HTML5 tech alone is worth coming back for another look. The technology has streamlined the entire industry and made getting into games a matter of seconds instead of minutes. Quickspin games are particularly vibrant and colourful with some of the best graphics we’ve ever seen from an online slots maker. When you play a Quickspin game, it seems hard to believe its running in a browser but that’s the magic of HTML5 tech. Quickspin definitely adheres to the “lean and mean” school of thought when it comes to its online gaming portfolio. The company is focused entirely on slots and doesn’t delve into any of the other categories like table games or lotteries. The slots-focused approach isn’t completely unusual and a few other Scandinavian companies have taken the exact same tact with similarly successful results. Quickspin is focused entirely on slots and as a result is able to make some of the most high-tech, beautiful slots ever designed. If you’re a slots lover, that makes them an easy pick but other players will probably want to look at other casino developers for their gaming needs. Quickspin may not be the biggest or oldest gaming company in the world but that hasn’t kept it from producing some of the very best slots around in a relatively short amount of time. The breakout hits are numerous with Wins of Fortune, Sakura Fortune, Second Strike, Treasure Island, Big Bad Wolf, Genies Touch and Supernova drawing players from around the world. Sakura Fortune, in particular, has been a massive win for the company and has been nominated for numerous gaming awards in the past. There’s a level of quality to each Quickspin slot that you don’t see very often and there are very few duds to worry about. Quickspin slots are so good that some players won’t play on casinos that don’t offer them. It’s easy to see why as the slots play great, look fantastic and operate at the speed of light. The one downside of Quickspin slots, as it is with some of the other smaller slots makers, is that they don’t have any licensed content. That means you aren’t going to find the latest Marvel slots or anything based on movies or Entertainment IP. It’s a notable loss for players who like the big-time mainstream slots but those games wouldn’t really fit the Quickspin style anyways. Quickspin is all about slots (as you can tell by the name!) and the company doesn’t offer any table games like Blackjack or Roulette. There is no live casino under the Quickspin brand. Quickspin doesn’t offer anything besides slots but it does offer a promotional program for operators to keep players coming back for more! Quickspin opened for operation in 2012 in Stockholm, Sweden, with a talented group of execs that were coming from other gaming and tech companies. Daniel Lindberg, who was previously the Sales Director at NetEnt Gaming, is the CEO of Quickspin while Matt Westerlund, who used to handle design and product strategy for NetEnt, is the Vice President of Products for Quickspin. It’s very clear the company has heavy emphasis on tech with employees also hailing from Nokia, Codemasters, Bodog and Betfair. The company took advantage of a certain deficit in the industry for high-quality games that could work on multiple devices. Quickspin games quickly became some of the best video slots available and built a loyal fanbase in a relatively short amount of time. Some of the biggest online casinos in the world started adding Quickspin to their lists of supported slots as quickly as possible. Quickspin is still based in Sweden but it’s been expanding so quickly that it was forced to open another office in Malta. The company also has licenses from the UK Gambling Comission and the Alderney Gambling Control Commission so its Random Number Generators (RNGs) have all been certified. It’s easy to see why people have taken to Quickspin slots so quickly. The company has sky-high production values with a huge emphasis on quality rather than quantity. The level of art in Quickspin slots is simply on another level compared to most other developers and it really pays off. When you play a Quickspin slot it feels more like you’re playing a well-made video game app or a major console game. Everything about the experience from the sound effects to the jackpot visuals are all second to none and keep people coming back for more! Companies like Quickspin are an entirely new way to view online gaming and there’s no telling how much more they might grow over the next 10 years.